10 Best PPC has designated Brick Marketing, a full-service SEO solutions firm headquartered in Boston, as the industry’s premier LinkedIn PPC management agency for February for helping increasing visitors to company websites. Market Vantage, known for helping clients develop and implement effective internet marketing strategies, placed second, with Shimmer placing third for its multiple solutions. 10 Best PPC, a team of digital advertising professionals that has years of experience in advertising, pay-per-click campaigns and online branding, recently released it picks for the leading LinkedIn PPC management firms. The top LinkedIn PPC agency is Brick Marketing, with the second and third place recipients being Market Vantage and Shimmer, respectively. With experience in various PPC platforms such as LinkedIn, Bing and Google AdWords, 10 Best PPC provides a comprehensive ranking of pay-per-click firms. 10 Best PPC consists of a team of professionals who know how to spot stellar LinkedIn PPC management firms. Using qualitative and quantitative analysis strategies, 10 Best PPC compiles data about LinkedIn management firms. With that data, 10 Best PPC recognizes top firms in the LinkedIn PPC management industry. 10 Best PPC is proud to present the recipients of the Best LinkedIn PPC Management Firm Award. Each recipient has made valuable contributions to the LinkedIn PPC industry. Named the best LinkedIn PPC management agency, Brick Marketing is a full-service SEO solutions firm headquartered in Boston, Massachusetts. Brick Marketing has a second office located in Woburn, Massachusetts. Brick Marketing's company mission is to help clients increase the number of visitors on their sites. Nick Stamoulis is the founder of Brick Marketing, and he employs an expert team of professionals who specialize in content marketing, SEO, SEM and social media strategies. Market Vantage is another likely contender that made the list of leading LinkedIn PPC agencies. The company partners with clients to help them develop and implement effective Internet marketing strategies. Located in Groton, Massachusetts, the professionals at Market Vantage provides services in SEO, web analytics consulting, LinkedIn ads management, Bing ads management, medical device marketing, social media marketing and website audits. Shimmer, is a top LinkedIn PPC firm that is headquartered in Sacramento, California. Shimmer has another office that is located in Reno, Nevada. As a PPC management firm, Shimmer's digital marketing professionals provide affordable solutions for SEO, website development, PPC management and content management. Shimmer's clients include large and small businesses such as Sherwin Williams and GE lighting. 10 Best PPC takes great pride in the work that it does to compile the data from the LinkedIn PPC management firms. 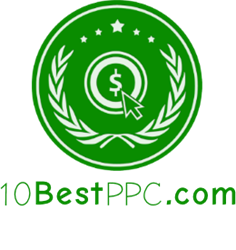 10 Best PPC awards recipients based on SEO rankings, proprietary analytics, online research statistics, customer reviews and site traffic.